Strong yet frugal diesel engines. Clever use of space inside with integrated child seats. Standard DAB digital radio. Practical and large sliding rear side door. Rear seats don't fold into the floor in rare six-seat versions. 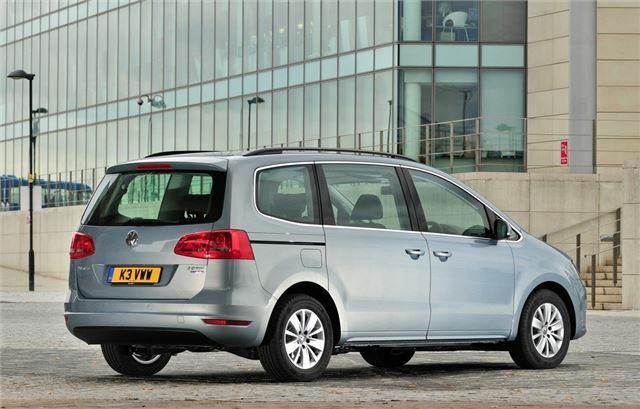 Report of wet clutch DSG transmission failing in 2017 VW Sharan at 55,000 miles because owner neglected to change the fluid and filter at 40,000 miles. 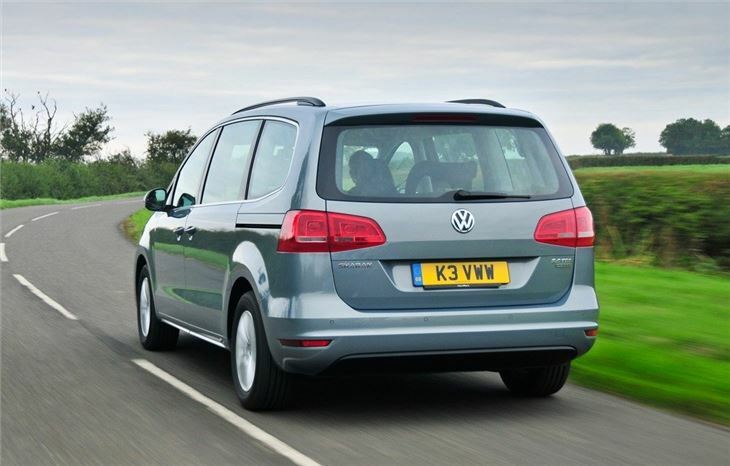 This Volkswagen Sharan is the first all-new design since 1995. Although the old Sharan had a number of facelifts - some more substantial than others - it was essentially the same design underneath. This time round, Volkswagen engineers started from a blank piece of paper: all that was carried across from the old car is the name and the rear blinds fitted to the rear windows. Everything else is brand new. It was well worth the wait. It's not an exciting car, but it is incredibly competent. It lacks pizzazz, but that doesn't matter as it's safe, well built and well equipped. 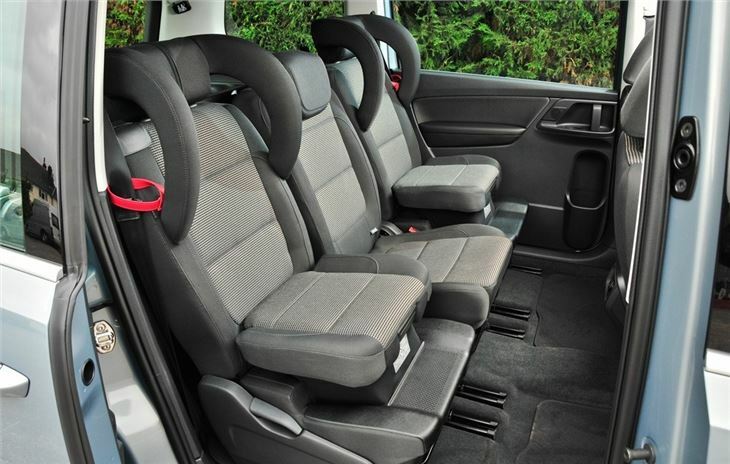 It's also roomy and very flexible - everything that you want in a people carrier. 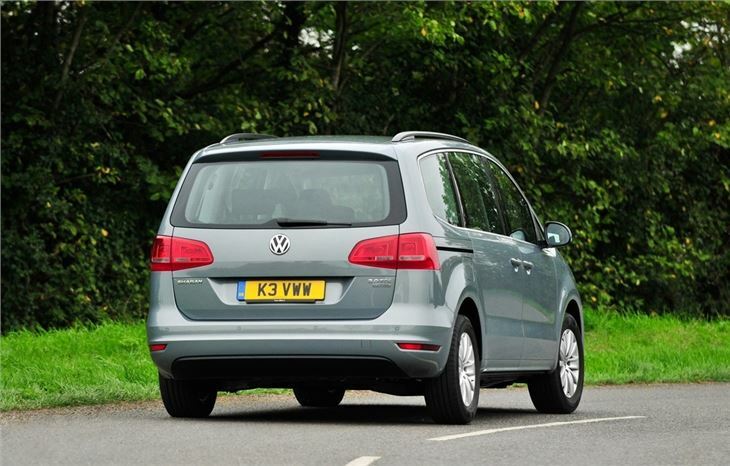 Initially there was a choice of two petrol and two diesel engines, with the 140PS 2.0-litre TDI being described as the most efficient engine to be fitted to a car of this size. It emits just 143g/km CO2 and returns 52.3mpg and is a popular choice. 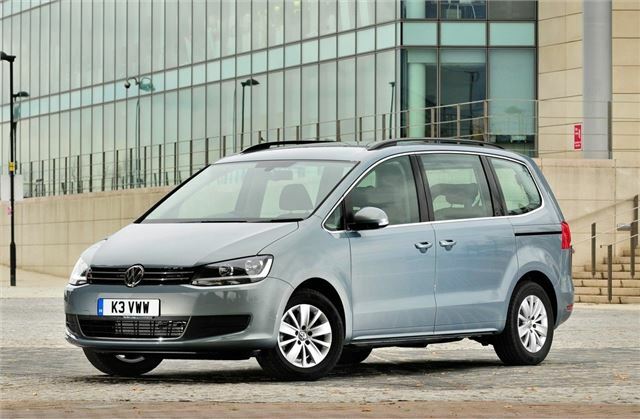 There are seven seats (with an option of six for business buyers) and the rear five seats fold effortlessly into the floor to create a flat floor and an incredibly useful load area. Options include an improved Park Assist system that self-parks the car, adaptive chassis settings, keyless entry and a panoramic glass roof. 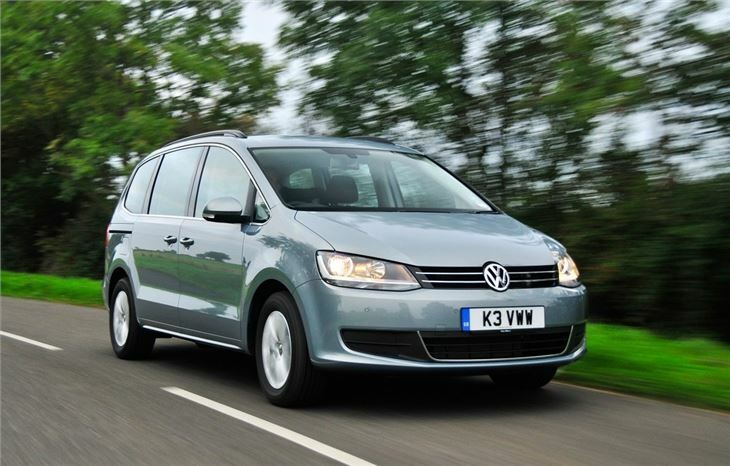 Its closest rival is the Ford Galaxy, itself a very well regarded people shifter. Then there's the new SEAT Alhambra, which is based on the Sharan, but offering slightly better value for money. Sliding Doors worth every penny.